Are you looking for a Dj or mobile disco hire in Penrith, Kendal, Carlisle, Ulverston and surrounding areas in Cumbria and Northumberland? Would you like the very best in mobile disco hire from a company with over 44 years experience as a mobile disco hirer? Platinum Discos provides mobile disco hire all over Scotland and all the way down to the M62 corridor in England. Mobile disco hire has evolved and if your looking for a mobile disco hire company that’s kept up with technology and provides the best Djs and equipment then Platinum Discos is the mobile disco hire company for you! 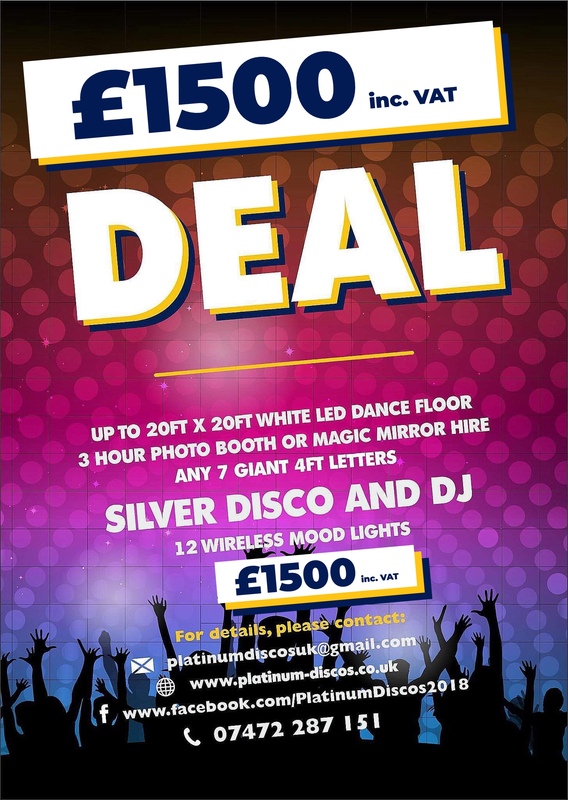 Please have a look at Platinum Discos Facebook Page where you’ll see that this is no ordinary mobile disco hire company. This mobile disco hire company offers lots more than just mobile disco hires. Platinum Discos has a very good You Tube channel with over 1,000 videos from mobile disco hires that they’ve done all over the UK. Platinum Discos regularly travel to Cumbria and Northumberland to provide mobile disco hire and they provide top quality Djs and mobile discos for weddings, birthday parties, engagements, anniversaries and children’s parties. Ashley, the owner of Platinum Discos usually covers all the mobile disco hires in Northern England as he lives the closest in Dumfries in South West Scotland. During the last few years he has built up quite a reputation in the North West for being an exceptional Dj and for providing exceptional mobile disco hire and he really gets a party going by playing great music and taking requests and by communicating exceptionally well with his audience. He really provides top quality mobile disco hire in Cumbria and Northumberland and if you want a great night he’s the mobile disco hirer you need to contact. Platinum Discos are not a budget Dj company, Ashley’s philosophy has always been to be the best at everything he does. This is why he buys lighting that costs 10 times more than what most Djs use. He likes his mobile disco hire to have lighting that is nothing short of awesome. I asked him why and he replied “because it looks amazing and my customers love it!”. My Silver mobile disco at a Bowling Club near Glasgow. This attention to detail with his mobile disco hire also applies to his sound system. He has a beautifully clear set of Yamaha DSR 115 speakers that cost over £1,000 each and he has the matching sub bass speakers to go with them. For bigger mobile disco hires he can take two pairs of each! He also has a brand new pair of white EV Evolve 50 speakers for his all white wedding mobile disco hire package. These speakers are amazingly clear and powerful at 1,000 watts each and cost £1,400 each! Ashley went for a sound demo of these speakers in Glasgow at Guitar Guitar and he fell in love with them instantly. They are small and light and produce the most amazing sound he says. This makes them the perfect addition to his mobile disco hire fleet for weddings in Cumbria and Northumberland. Ashley always believes in careful planning. Failing to plan is planning to fail he says. He always takes a full backup sound system with him to every wedding or party that he does with quite literally spare everything from his laptop to the speakers and everything in between including a duplicate of every cable. When doing mobile disco hire professionally you need to do everything perfectly. Ashley says that before this system was put in place he’d get playlists emailed to him with nothing but the songs on it. This made his job as a mobile disco hirer very hard as he’d need to use the email address to trace the clients booking but on some occasions the email would come from a family member or partner and render it untraceable. That’s why he created all his checklists and playlist forms as he is so popular that he deals with quite literally thousands of mobile disco hires per year. Sending multiple forms also acts as a backup plan as if one of your emails got stuck in a spam filter or you mistyped his email address he might not receive one of your emails. But as your also sending forms to him he will still know you have a booking and if there’s something he needs he’ll be in touch. The forms are all stored on Ashley’s Platinum Discos website so once you click submit on any of the forms you will get a copy of the form and so will Ashley. 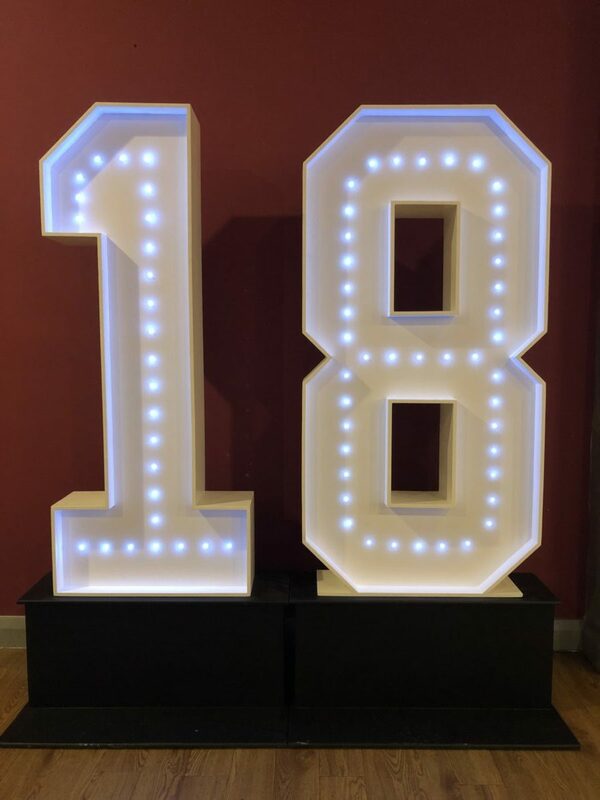 Platinum Discos doesn’t just do mobile disco hire, it also provides led dance floor hire, photo booth hire, magic mirror hire and giant letter hire for weddings and parties in Cumbria and Northumberland. Ashley has tried to make planning a wedding or party really easy for you by being a one stop shop for everything you need. He has also brought out some incredible package deals like this one below that are amazing value! 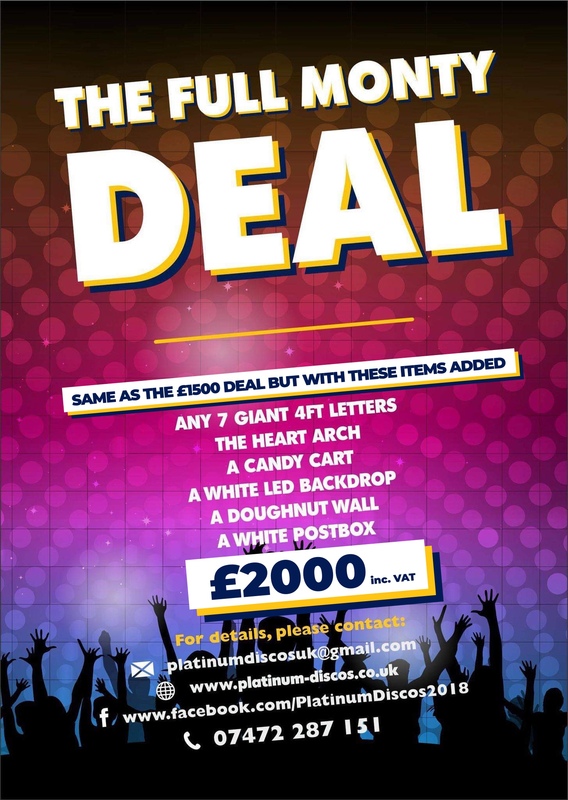 Not only does it include your mobile disco hire but has all these other items and at a bargain price! Ashley also has his Full Monty Package deal which is designed for weddings and includes everything in the above £1,000 deal plus lots of other things ideal for a wedding! 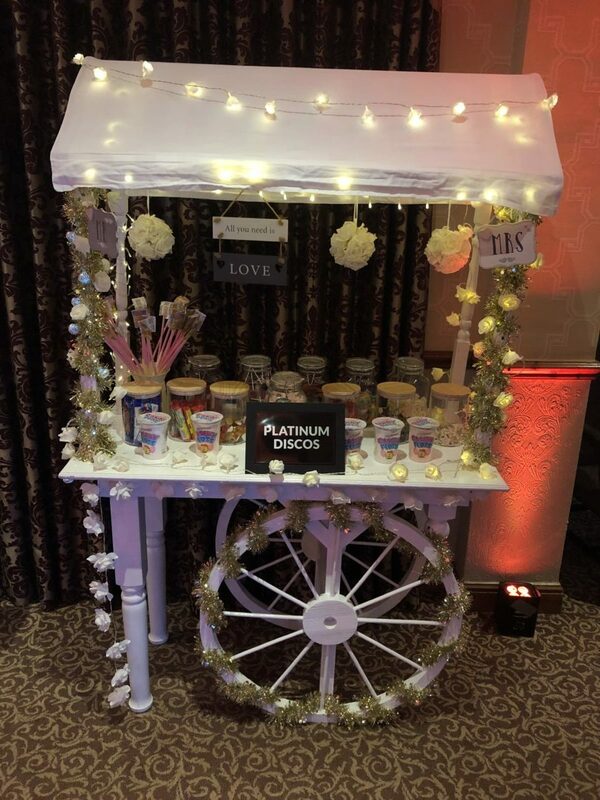 Candy cart decorated with lights and flowers. Our 7ft tall heart arch at The Merchants hall in Glasgow. 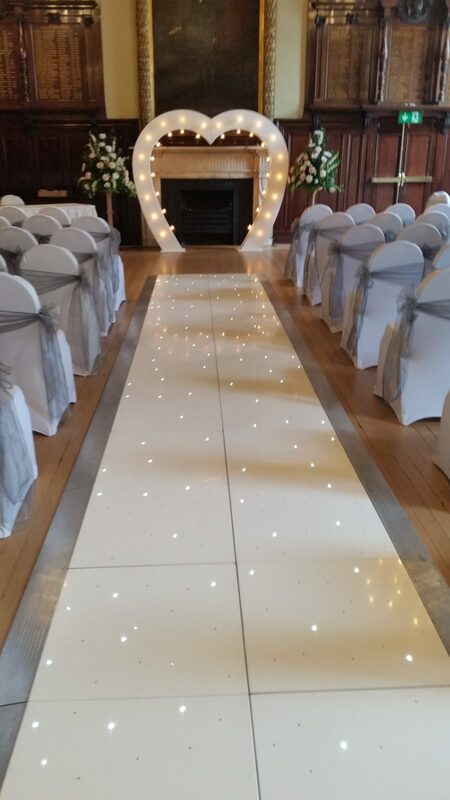 We also do Led Aisle runners like this. He always posts on his Facebook Page about new products as soon as he gets them. 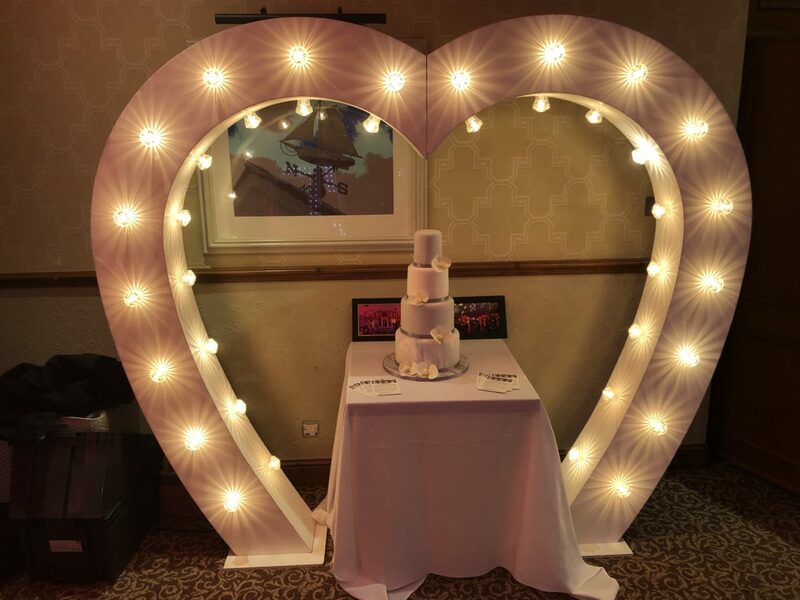 He is upgrading his mobile disco hire yet again with some amazing new lighting! Ashley and Platinum Discos have done lots of mobile disco hires in the North West and Ashley has personally been the Dj at the annual New Year’s Eve party at The County Hotel in Hexham for the last three years and he’s booked again for this year. 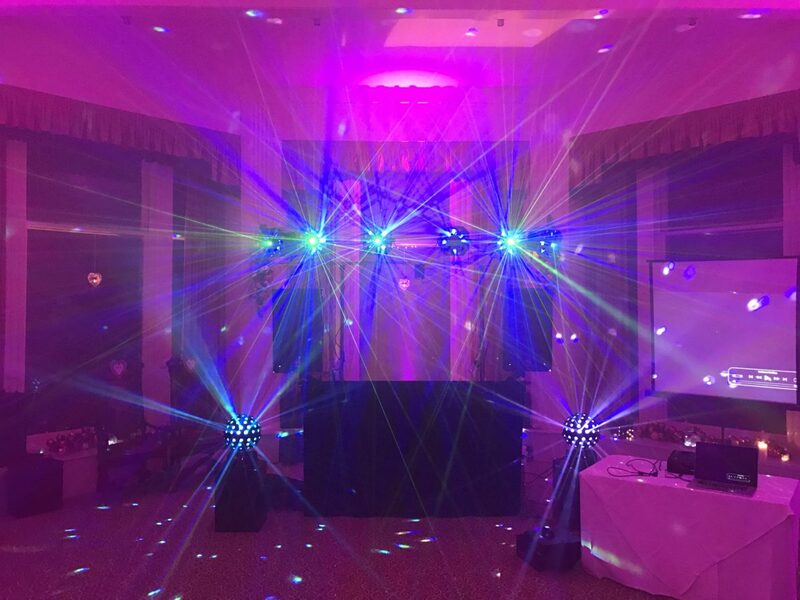 His mobile disco hire has grown every year with more lighting and sound at The County Hotel. Ashley and his number one Dj Dougie have done lots of weddings and birthdays and engagement parties in Carlisle including The Tithe Barn, Creighton Rugby Club and The British Legion amongst others and have been all the way down the west coast including Whitehaven, Aspatria, Workington, Ulverston, Maryport, Wigton, Bassenthwaite, Askham, Keswick, Kendal, Penrith etc. So no matter where you are in The North of England Ashley will provide you with mobile disco hire. 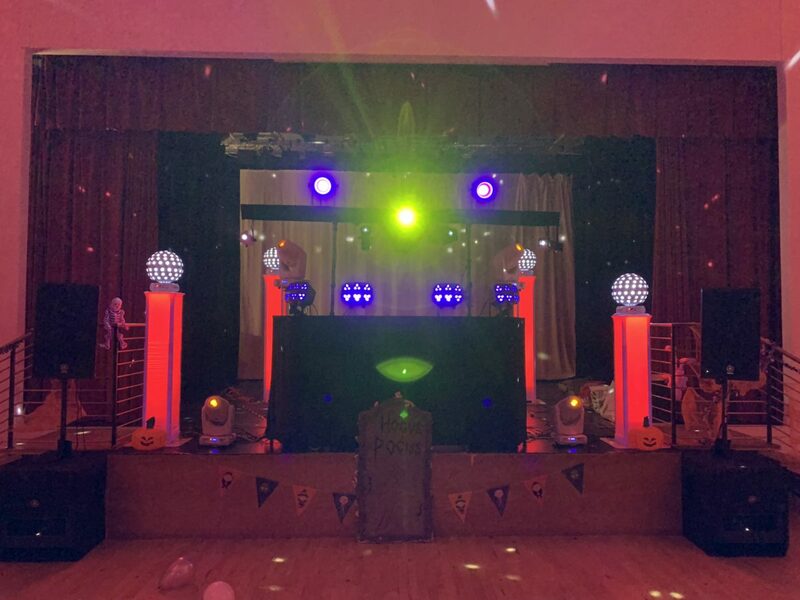 He also travels across to Yorkshire, Tyne and Wear, and Newcastle, Durham, Harrogate, and Catterick on many occasions to provide mobile disco hire. Ashley says it’s a new area for me but in the last few years I’ve really got to know it well as I’ve provided mobile disco hire all over the North West and The North East of England. 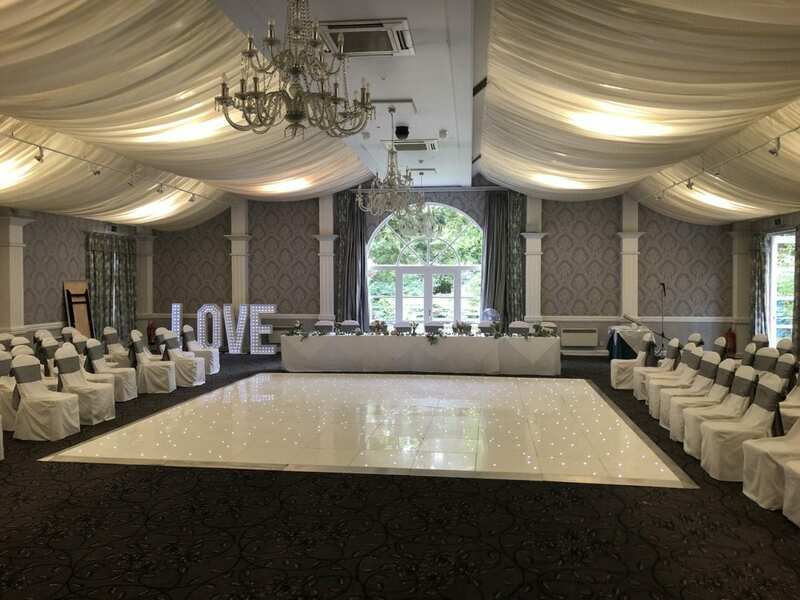 Ashley’s says the venue he has been to most to provide mobile disco hire is Penrith Cricket Club and Kendal Cricket Club and his favourite gig was only a couple of weeks ago at Castle Green Hotel in Kendal where he did Chris and Debbie’s wedding reception. 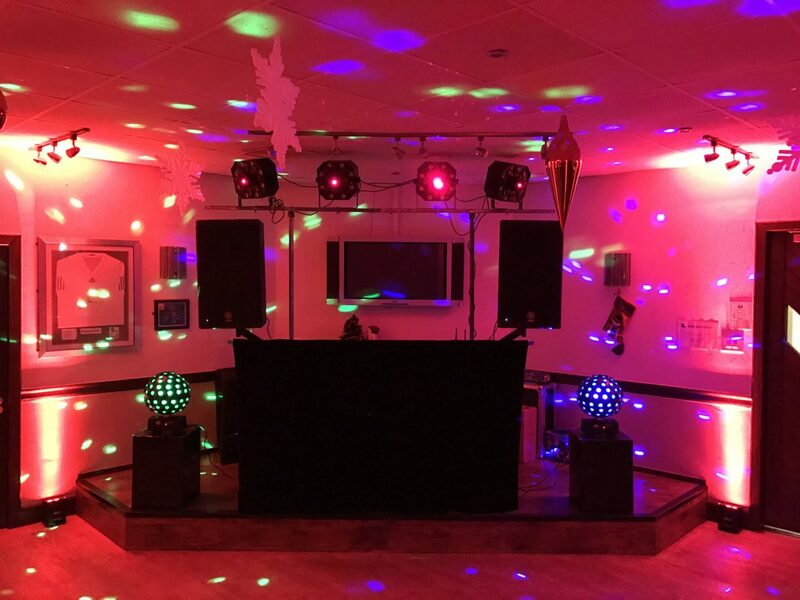 He said he passed this venue many times on his way to do mobile disco hire at Carus Green Golf Club in Kendal and various other venues and had always liked the look of it. Finally I got to do a gig there and I thought the venue was amazing. Great staff, easy access to the function room and I was geared up for a great night. Once I’d met Debbie and Chris I knew I was in for a superb night. A very chilled out and relaxed couple who were so nice! Their wedding was on a Sunday night and was the kind of wedding I enjoy doing most, a small intimate one with around 40 guests. They had opted for karaoke at their wedding and this gave me even more flexibility to entertain. I had lots of great singers and dancers but the star of the show was a 5 year old called Lola. When she sang and danced everyone listened and watched intently. I received this lovely email from Debbie and Chris about my mobile disco hire and then a lovely review on my Facebook Page too. It was lovely to meet you too, you made myself and debbie immensely proud, our friends and family could not speak highly enough of you and your friendly professional manner, it really made our night that you took time out to come and have a bite to eat and a drink with us, thank you so much for creating a fantastic atmosphere with your proactive approach to getting family and friends involved with such ease. ourselves, family and friends will certainly be highly recommending you wherever possible, we will leave you reviews on your sites with the greatest of pleasure. We hired Ashley for our wedding, a true gentleman, his work is absolutely brilliant, a friendly guy with the best proactive, professional approach I have ever seen from a dj, his equipment is second to none, I would not hesitate in hiring Ashley again or recommending him to everyone. When you receive customer reviews like this you know your doing your job right! Here are some examples of my mobile disco hire, the top picture is of my Silver disco package and the one below is my Gold disco package. My Silver Mobile Disco at The Argyll Hotel, Campbeltown. My Gold mobile disco package at a School in Ayr. As you’ll see my mobile disco hire is well thought out and all the cables are as hidden as possible so it looks nice and neat and tidy. My mobile disco stand has been modified over the years to my specification as I wanted to improve on the design so it looked better and was more practical. I wanted to improve its stability too. 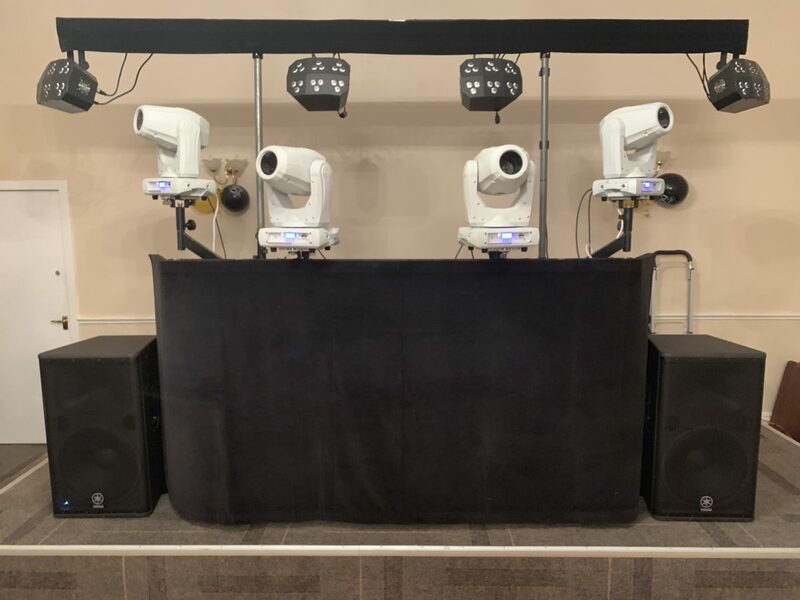 I also wanted my disco to be as safe as possible so I incorporated the speakers onto the stand rather than using tripods which I don’t think are safe in a mobile disco hire environment. My Silver Mobile Disco at The Club at Archerfield near Gullane. All my lighting is also hung from an overhead bar above me and is attached to the deck stand. This means that everything is attached on the one stand and is much harder to knock over as it’s heavier and I’m standing behind it and could grab hold of it if someone bumps into it. This does happen from time to time especially at weddings and parties where I finish off with Runrig’s Loch Lomond. All the guests form a circle and dance and quite often during the song somebody will bump into the deck stand. Due to its weight and the fact that it has 6 legs it’s very stable and I’ve never thought it could get knocked over. As a mobile disco hire company owner you have to think about safety a lot. My Silver mobile disco in The Bow Lounge at The Atholl Palace Hotel, Pitlochry. Electrical safety is also very important part of my job as a mobile disco hire company and all my equipment is pat tested annually and I have always used a RCD plug on everything that’s plugged into the mains. It’s quite literally a life saver! As a wedding Dj and mobile disco hire company / party Dj I’ve got to be able to entertain any crowd from children to grandparents and from various ethnicities. In the last year I’ve entertained guests from all over the UK but also from Nigeria, Portugal, France, Spain, Holland, Denmark, Poland, The Czech Republic to name just a few. I have to have music for everyone’s tastes and that’s where having over 1.5 million songs on my laptop and 44 years experience as a mobile Dj really comes into its own. You have to know the songs as well as to play them! Playing the right songs at the right time is an art and even after 44 years I’m still learning. Sometimes somebody will ask for a song that I’ve never played before and I’ll go “wow, why haven’t I heard or played this before?” It then gets stored in my favourites playlist as a reminder for future gigs. As a wedding Dj / mobile disco hire company / party Dj keeping up with technology is part of what I have to do. I’ve had to change from 7 inch and 12 inch vinyl singles to Cd’s and now to a laptop. I started with windows and hated it and moved to using an Apple MacBook Pro which has been great and recently I’ve changed from spinning external disk drives to solid state drives which are far smaller, faster and lighter but considerably more expensive! The most important thing for me was the reliability of a solid state drive. Because they have no moving parts they should be more reliable. I use Samsung T5 SSD’s which at £350 for a 1Tb Drive is quite expensive. Maybe now your beginning to see why Platinum Discos isn’t a budget mobile disco hire company. Does it make a difference to you? Well ask yourself what you would do if you hired a mobile disco hire company / Dj and his equipment broke down 10 minutes into your party or at any time during your party? Unless your mobile dj hire company / Dj has backup equipment like me your party would be ruined. I think I take it to extremes when it comes to back up equipment as at a mobile disco hire recently I counted how many devices I could play music from. I had four laptops, 3 iPads and 3 mobile phones, 3 mixers, and two pairs of speakers plus at least 3 of every cable I needed. 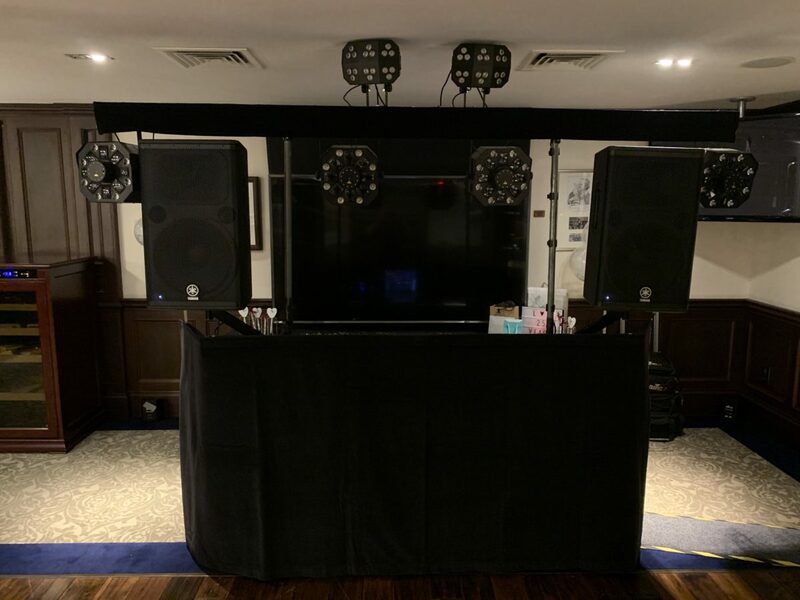 Obviously all of this costs money but if the worst should happen you’ll be glad you picked a mobile disco hire company who did have a backup plan. In my book a disco should run seamlessly from start to finish and that’s what I do at every gig! There are some things that any mobile disco hire company, Dj, party Dj, wedding Dj has no control over like the weather, traffic, accidents or ill health. But you can make backup plans for all of these eventualities. My white led dance floor and giant letter hire at Keavil House Hotel, Crossford in Fife. When we had the very bad snow two years ago I put Michelin Cross Climate tyres on my van. I was so impressed with their traction in the rain and snow I won’t put anything else on my van again. I set off at 9 am in the morning to get to my mobile disco hire venue which was a good 4-5 hours drive away in normal weather and arrived at 2pm some 4 hours earlier than I needed to be. The bride was delighted to see me as the weather was atrocious and I left Dumfries to go to The Mansionhouse in Elgin! I think with normal summer tyres I’d never have got there as particularly around Edinburgh the roads were several inches deep with snow and I watched everyone else struggle to go up hills which I went up as if the road was dry. Traffic and road closures due to accidents can affect anyone but if you leave early you have time to take even a significant detour to make sure you arrive on time for someone’s wedding or party. I usually arrive around two hours earlier than I need to, sometimes much more. I don’t want to get stressed stuck in a traffic jam and have to drive like a lunatic to get a gig on time. I far prefer to leave early and arrive early and if I get stuck in traffic for an hour I’m still early. When you hire a mobile disco from me I’ll turn up no matter what! Ill health can affect anyone and when I’m ill I have a pool of Djs that I can rely on to cover my gigs. I’ve had to do that a few times in 2018 due to a variety of virus’s, back, knee and general health issues. On one occasion in 2018 I had kidney stones and couldn’t get a replacement Dj so I went and did the mobile disco hire myself and laid a 20ft led dance floor too at this wedding in Kinghorn in Fife. I felt awful but I still did the gig and nobody knew how sick I was. At the end of my gig I got my crew to help me get the disco and dance floor out and then went to hospital. As you’ve probably guessed I’m very committed to my job. At 57 this August I’m a very experienced, adaptable Dj who still loves his job as much as I did when I started my Dj career in Aberfeldy in 1976. My mobile disco hire has seen some serious changes over the years as I continue to modernise and innovate. 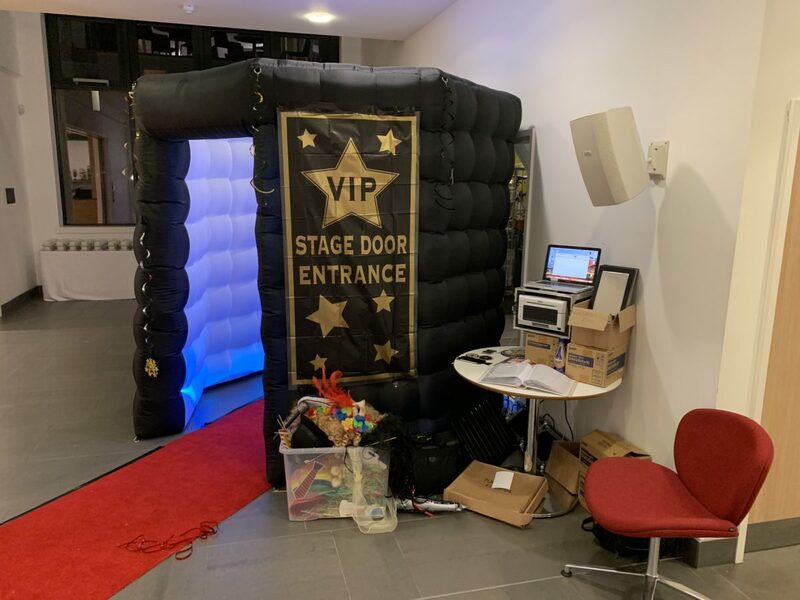 Our photo booth hire with a Hollywood theme. I hope you’ve enjoyed reading my blog post and if you’d like to discuss mobile disco hire for your wedding or party please call me anytime on 07472 287 151. Obviously I work on Friday and Saturday nights doing mobile disco hires every week so if I can’t take your call I’ll text you and arrange a time to call you back. Platinum Discos isn’t just a mobile disco hire company, they hire a multitude of other things for weddings, birthdays etc. Platinum Discos provides top quality mobile disco hire, give us a try! Any questions about mobile disco hire? Give Ashley a call on 07472 287 151. Platinum Discos reached the 2019 finals of the confetti awards in Scotland for its mobile disco hire.